What is the Color of Fresh Meat? Fresh-cut beef is light red, almost pink in color, and evenly colored throughout. Oxygen from the air reacts with pigments in the beef and turns it cherry red. Beef with a dark red or purplish hue comes from an old animal. In the industry, they’re referred to as “dark cutters”; the color indicates that meat is at the low end of the quality spectrum. The surface color of lamb will be dark cherry-red; pork will be pinkish tan; and veal will be pale pink (for formula-fed veal) to rose colored (for pastured veal). 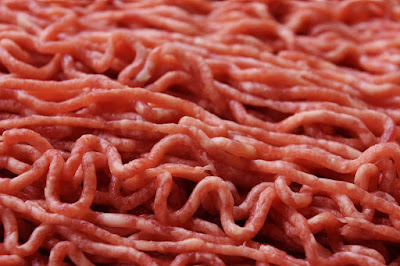 The color of fresh-cut meat is highly unstable and short lived, especially if the meat has been ground, so the interior of a package of ground beef may be grayish brown because oxygen doesn’t penetrate below the surface. This is not an indication that the meat is spoiled. How to Buy Fresh Meat? Here are a few fast tips from professional chefs and master butchers on what to look for when buying beef over the counter. 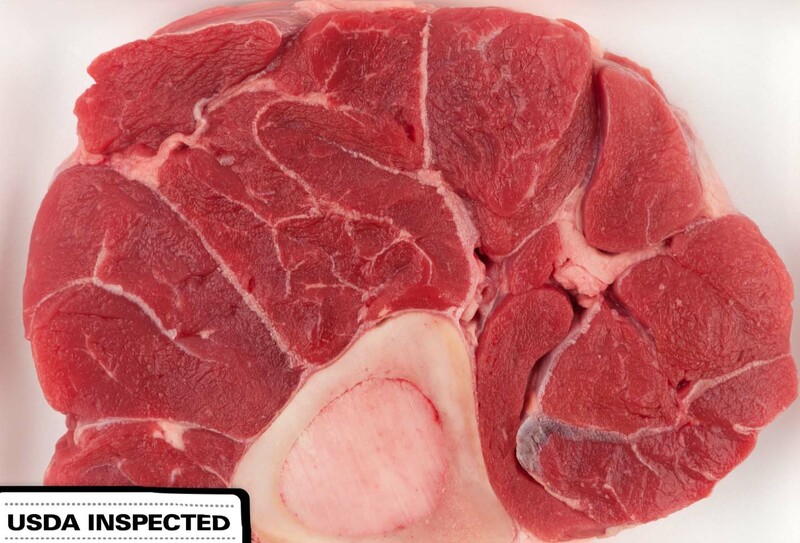 1) The United States Department of Agriculture (USDA) grades meat according to tenderness. Two main factors are the amount of fat marbled through its flesh (as this inner marbling moistens the meat as it cooks), and the age of the steer (the older the beef, the tougher, but more flavorful, the meat). The most common grades are Standard, Prime, and Choice. Beef has the most grades. Lamb and veal have fewer grades, and only the highest grades make it to market. Pork is so consistent that only one grade is sold directly to consumers. 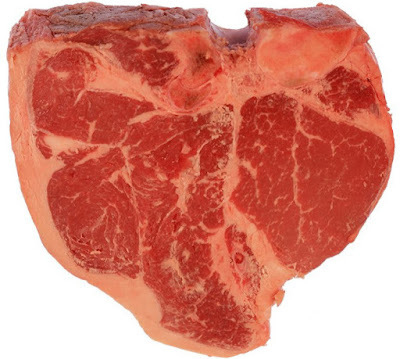 Approximately about 2 percent of all beef is graded Prime. It is the very best meat you can buy and accordingly costly. One of the reasons why it’s so pricey is that it has gone through a special dry-aging process. 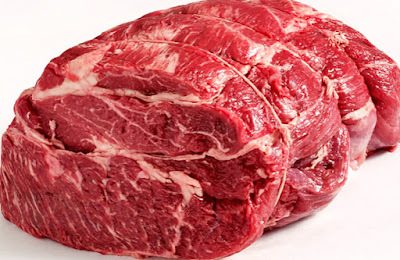 All beef is aged after slaughter so the enzymes can break down and tenderize the flesh. Most beef is wet-aged in its juices in sealed plastic bags (like the ones for sale at wholesale clubs). But dry-aged beef is allowed to stand uncovered in special refrigerators for 3 weeks or more. This special aging process evaporates excess moisture from the meat. As the exposed surface must be trimmed away, dry-aged meat makes for a good amount of waste, so the price of the meat goes up. 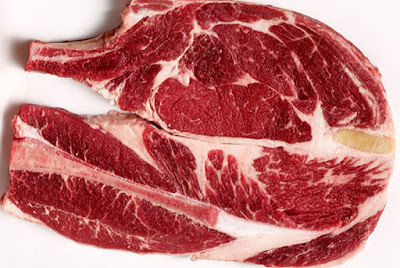 Considerably, most of the meat in supermarkets is wet-aged and graded Choice. It’s very good, but it lacks the depth of flavor that prime meat provides. 2) The most important secret to getting good meat is get to know your butcher. Knowing a good butcher is more important than knowing a first-rate lawyer. The head butcher is usually on duty early morning through early afternoon, and the assistant comes on for the later shift. Stop at the counter and ask for an introduction. Get the direct phone number of the meat department. Bring him or her a slab of your ribs for lunch one day. Set yourself apart from the crowd. 3) If you want to grill a whole brisket, but none of local groceries or supermarket on your area carry it. You can’t purchase it because there is not enough demand. But most butchers can order whatever you want and have it there in a few days. They can also custom-grind hamburger with your favorite blend, cut steaks to the thickness you want, and get the freshest fish. If they can’t or won’t, find a new butcher. 4) Three things affect flavor of meat: breeding, feeding and handling. The cheaper the cut the bigger the flavor but the longer it takes to cook (excluding mince and sausages). 5) Read the fine print when you shop. Meats labeled “enhanced,” “flavor-enhanced,” “self- basting,” “basted,” “pre-basted,” “injected,” or “marinated” can have salty fluids or flavorings injected. These additives can enhance taste and improve moisture retention when cooked, but why pay more for saltwater? You do not need additives if you prepare and cook the meat properly. If you want salt, add it yourself. 6) When buying beef, preferably procure beef that comes from Black Angus cattle that are under twenty-four months of age; the only way to know this is to ask your butcher. Angus in general, and low line Angus in particular, produce some of the most consistently tender and delicious meat. The fat is buttery and there is generally less gristlein the loin muscles than in that of other breeds. Also look for meat that appears moist, not dried out, and is free of stickiness. 7) Beef should have virtually no odor, unless you are buying dry-aged meat, which can have a sharp smell similar to that of corn. The best way to know if meat is bad is to smell it. Meat of any variety should have almost no odor. If meat has even the slightest off-odor, it’s bad (unless we’re talking about aged beef, which has a slightly funky, corn-like smell). 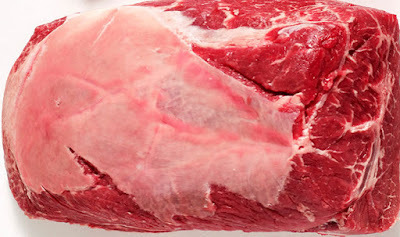 Another sign of meat that has gone bad is an iridescent or greenish hue on the surface. Lastly, meat that has spoiled will have a sticky texture. In order to avoid any doubt, use large cuts of meat such as roasts or thick steaks within three or four days of purchasing them from a reliable source and use chopped meat and stew meat within a day or two of buying it. 8) Linger over the meat counter and choose carefully. Look at the thickness and evenness of the cut. If one end is thinner, that end will overcook. Look at the exterior fat. You’ll want to remove most of it, so find cuts with the least waste. Often, two packages of the same cut can have very different marbling. Look for liquid in the package. This is called purge, and it may be a sign that the meat has been frozen and thawed. This moisture and flavor cannot be replaced. Avoid packages with a lot of purge. 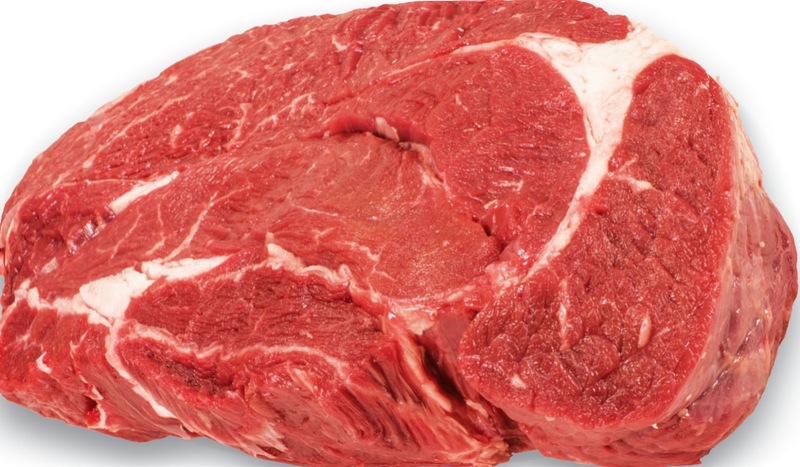 What to Look for When Buying Beef? 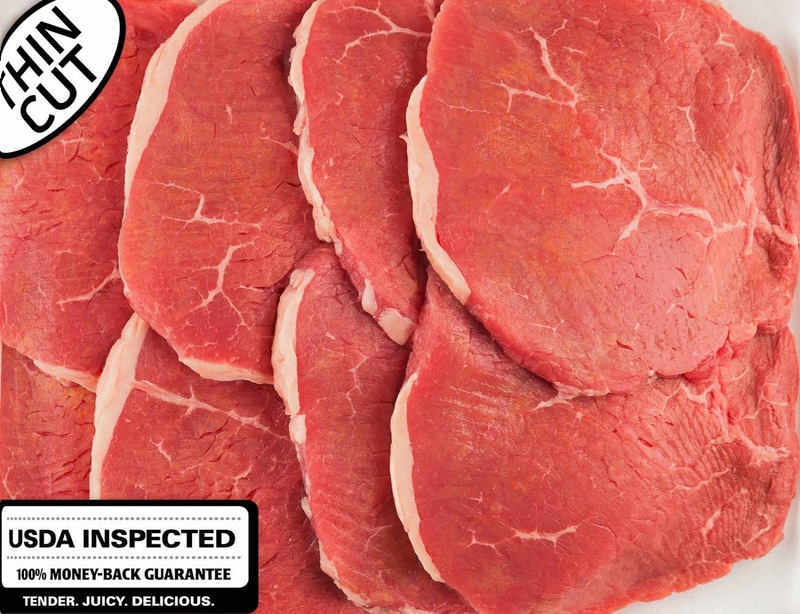 What to look for when buying beef. The following tips from the expert Ray Venezia will help you in selecting the best beef cuts possible. Keep these on your fridge door. The rib primal contains the rib steak, rib-eye steak, and rib roast (also known as prime rib or standing rib roast). 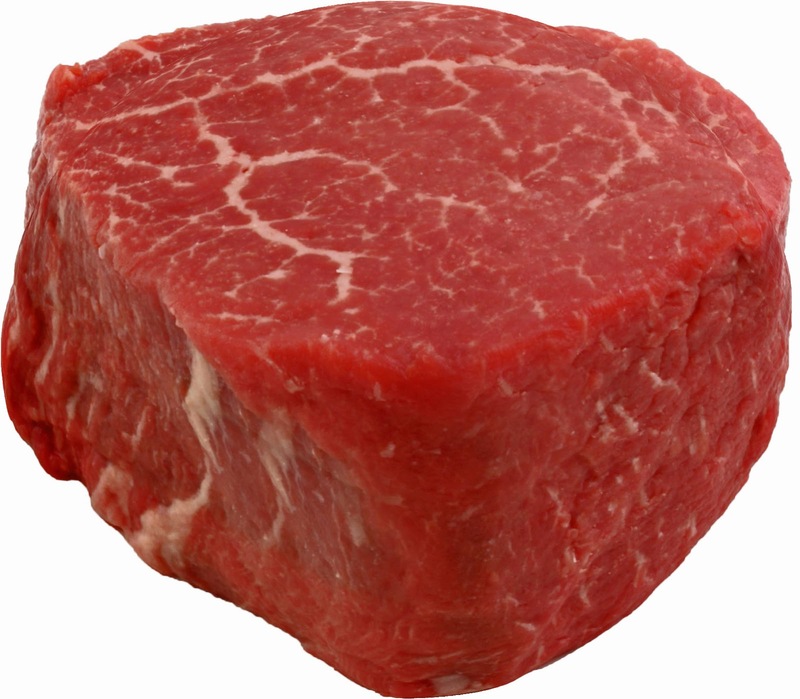 This is the smallest primal and is most often cut into steaks. What to Look for When Buying Rib-Eye Steak and Rib Steak: When shopping for a rib-eye steak, look for a fine texture and light color. 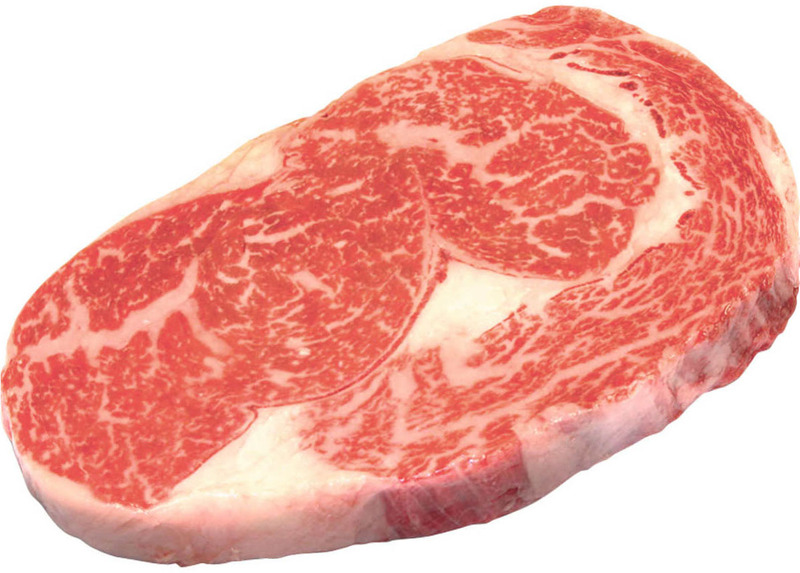 Because so much marbling runs through the rib, even a Select grade should show modest marbling. The whiter the outer fat, the better. The eye of the rib starts on the chuck side, where three muscles with a piece of fat in the middle narrow to one muscle on the loin side (also known as the first-cut side). Both sides are equally tender and juicy, but the chuck side has a lighter flavor, while the loin side is slightly less juicy but with a stronger flavor. When shopping for a rib roast, the rule of thumb is one rib for every two people. This is the king of roasts. The size and heavy marbling of the prime rib make it perfect for roasting and the ideal choice to feed a large group on the most special of occasions. 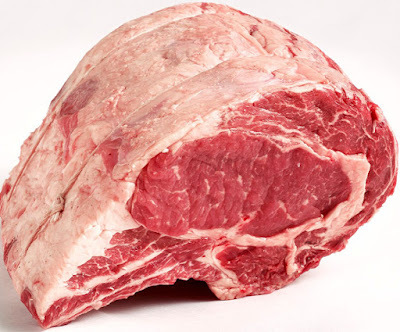 A full standing rib roast is a rack that consists of the same tender, juicy eye meat that comprises rib-eye steaks. Traditionally it is cooked with the ribs standing straight up; this requires that the chine bone be left intact, which means that you would have to carve this off before slicing the roast. It is often called “prime rib,” but that doesn’t mean the meat is graded “prime.” Standing rib roasts are popular around the holidays. What to Look for When Buying Prime Rib Roast: Just because the label says “prime rib” doesn’t mean that what you’re getting is the real deal. You have to look for the USDA grade. The rib in any grade is the most marbled cut, but a Select grade prime rib has virtually none of the marbling that makes this such a great cut of meat. Do yourself a favor and buy USDA Choice or Prime like this one, get more information here… Prime Rib Roast. If you can find only USDA Select, you’re better off buying filet mignon—a cut that doesn’t rely on marbling for its flavor and tenderness. The rule of thumb when estimating portions of prime rib is one rib for every two people. The loin contains some of the most delectable cuts you can buy. It is composed of two subprimals (although some people treat the two as primals in their own right): the short loin and the bottom sirloin. The short loin in turn includes the New York strip steak (also known as shell steak), T-bone steak, porterhouse, hanger steak (also known as butcher’s tenderloin), and the tenderloin (also known as filet mignon). The sirloin includes the sirloin steak, culotte roast and steak (also known as bottom sirloin cap steak), and the flank steak. 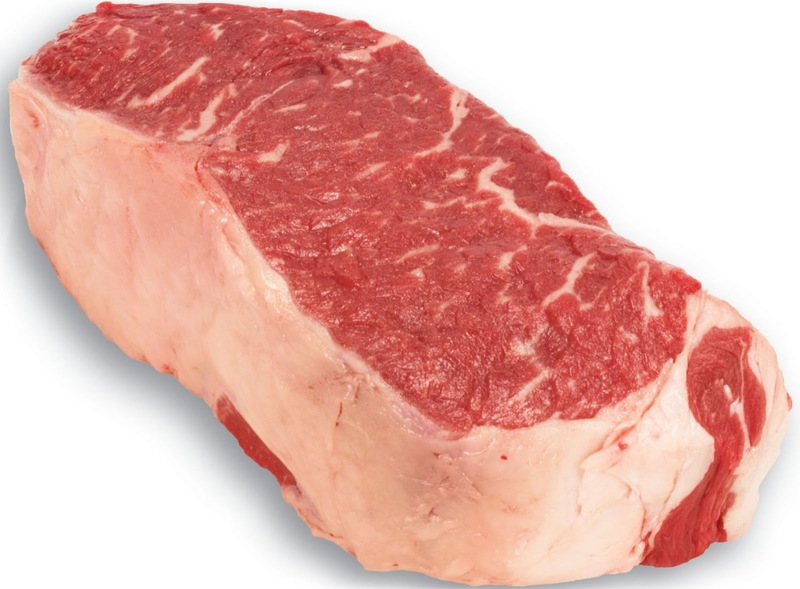 What to Look for When Buying New York Strip Steak: This steak is sold bone-in and boneless; I suggest buying it boneless. The strong flavor remains after the bone has been removed, and you’ll be paying only for the meat, which makes the boneless cut a better value. 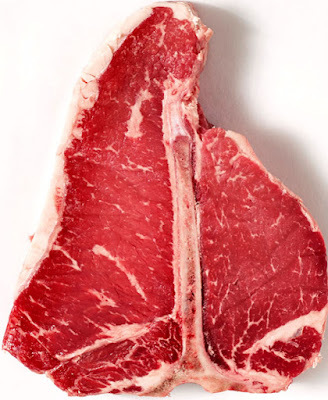 What to Look for When Buying T-Bone Steak: When picking out a T-bone to call your very own, look for 1/4 inch [6 mm] of outer fat, which should be white and solid (if the outer fat is soft, with a yellow tinge, the steak will be tough and taste slightly off). The piece of fillet under the bone should be lighter red than the meat at the top of the steak, and it should be firm, not soft or mushy. What to Look for When Buying Porterhouse: Always buy a porterhouse that is at least 1 inch [2.5 cm] thick to ensure that it doesn’t dry out during cooking. The fillet on the bottom of the bone has to be at least 2 in [5 cm] across to be a true porterhouse. What to Look for When Buying Sirloin Steak: The fat on the outside of the sirloin steak should be white and solid. 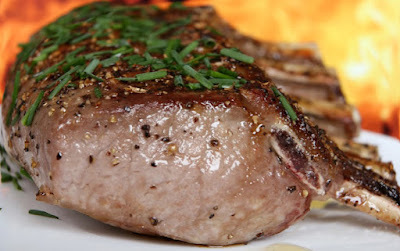 The meat itself should be slightly lighter in color than either the T-bone or shell steak. The marbling should be light to moderate. 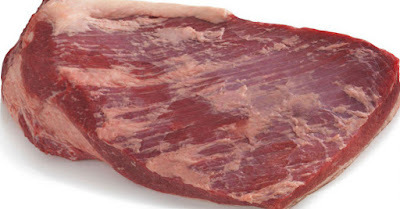 What to Look for When Buying Bottom Sirloin Cap Steak: This cut looks a bit like a tri-tip because it is triangular. 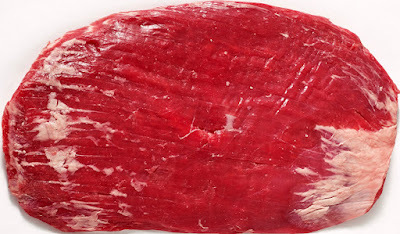 The meat should be a rich red and have a light cover of fat across the top, with just a bit of marbling throughout. Keep in mind that this is a smaller cut; if the meat is more than 2 lb [910 g], it’s not a culotte. 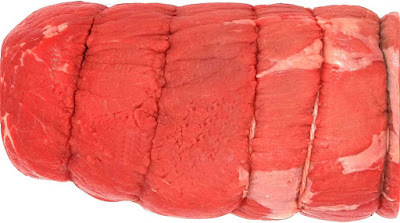 What to Look for When Buying Filet Mignon: Tenderloin roast is sold trimmed and untrimmed (for most shoppers, trimmed is preferable). Look for one about 5 lb [2.3 kg], which is an indication that it has been trimmed; untrimmed tenderloin roasts can run 9 lb [4 kg]. Either way, the tenderloin will probably be covered with the silver skin, or membrane. If you don’t want to remove it yourself, ask the butcher to remove it for you. 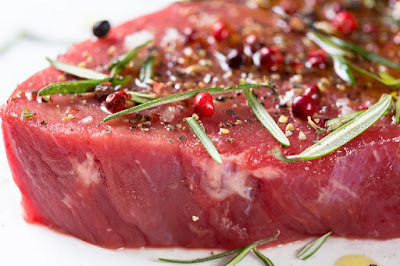 When buying filet mignon (I have tried this one, its good! Get more details here… Feed the Party Filet Mignon Steaks), look for an even cherry color across the cut. The steak should look a bit moist in the package (if it’s kept too long, it tends to dry out), and it should be firm to the touch. With this cut, in particular, it’s very important that the plastic over the package be tightly sealed, because the meat will degrade quickly when in direct contact with oxygen. 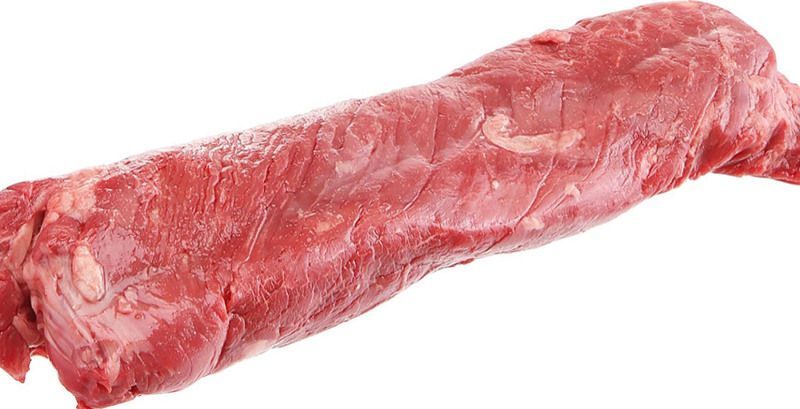 What to Look for When Buying Butcher’s Tenderloin: A hanger steak is dark red. If you see a large sinew running through it, do not buy it; it should have been removed. No credible meat operation would put them out that way because it takes professional skill to remove the sinew without destroying the steak. What to Look for When Buying Flank Steak: When picking out a flank steak, look for a light red color, which indicates more marbling throughout the meat. That translates to a softer steak, which will absorb a marinade better. What to Look for When Buying Ground Beef: I’ve had a lot of customers complain to me that the ground meat they buy is a bright color in the package, but darker on the inside. That’s supposed to happen. The meat is only cherry red where it’s exposed to air. In fact, you should only be concerned if the ground meat is not darker on the inside. Also, the leaner the meat, the darker it will be on the inside. Buy ground chuck (20 percent fat) if you’re making meat loaf or chili. It’s fairly lean, but still has some flavor. Look for a coarse grind. The larger grind will make a thicker, richer chili. Go with ground sirloin (10 percent fat) for the grill. This should be your burger meat—do not use ground chuck. The leaner meat from the sirloin is not as reliant on fat for its strong, beefy taste. Whatever ground beef you buy, use it the day you buy it or freeze it right away. Don’t let it sit in the refrigerator or the quality, flavor, and freshness will degrade. 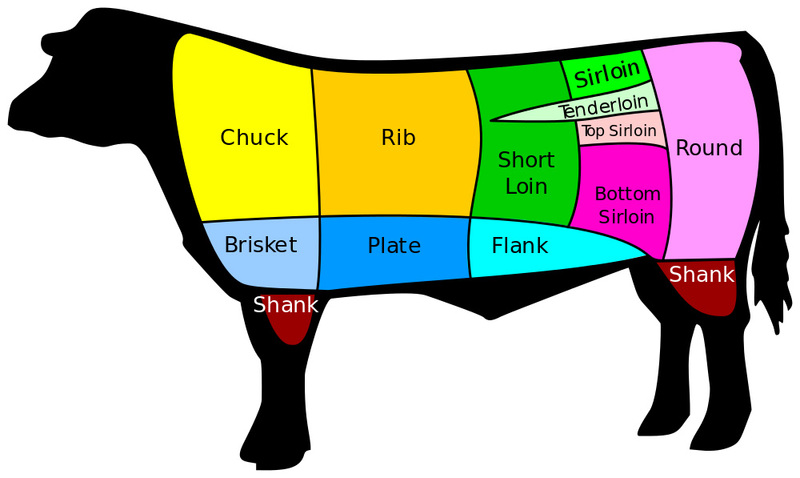 All chuck cuts are best suited for slow, liquid-based cooking because they come from the front end of the animal, which is the muscular, working end. Although the meat contains nice marbling, it is also tough. The heavy marbling keeps the cuts moist and flavorful during slow cooking, and the slow cooking ensures the meat is not just tender, but fork-tender! The chuck roll is really two different cuts—the first third on the loin end has more in common with the rib eye than it does with the rest of this cut. Steaks from here have a perfect balance of fat, tenderness, and flavor. The rest of the chuck roll, as the eye of the loin disappears and the muscles of the neck and shoulder take over, is better suited for slow-roasting whole, so the muscles, silver skin, and collagen sheaths have adequate time to break down. 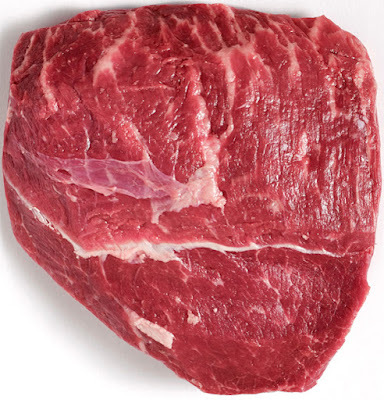 What to Look for When Buying Stew Meat: Use the chuck tender for your stew meat because it is one of the leanest parts of the chuck and full of flavor. 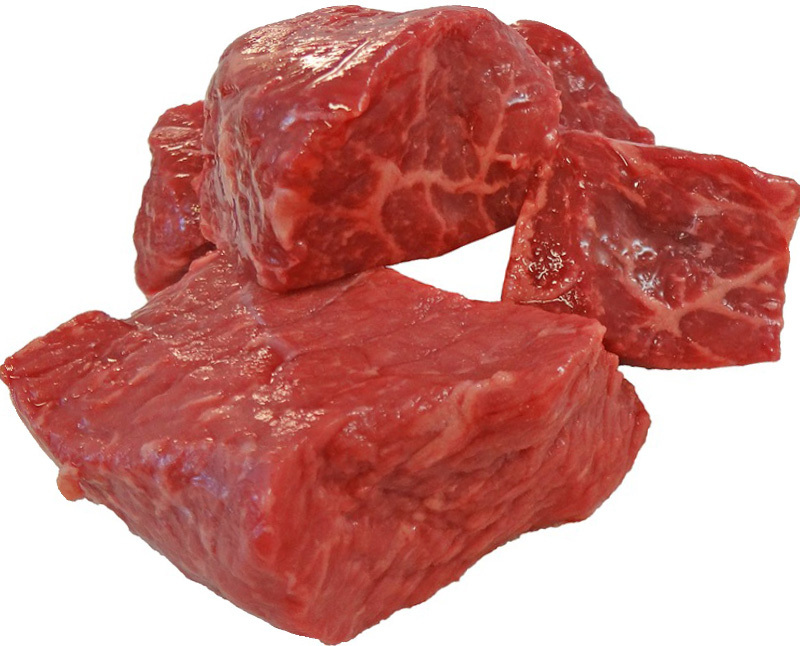 Stew meat should be cut into 1.5 inches [4 cm] cubes. Look for chuck cuts on sale to get the best value, and then either cube the meat yourself or have it cubed by the butcher. Buy prepackaged stew meat only if it was packaged that day and the label reads “beef chuck.” Move pieces of prepackaged stew meat around in the package with your fingers; many times you will find the meat is strips, not cubes. 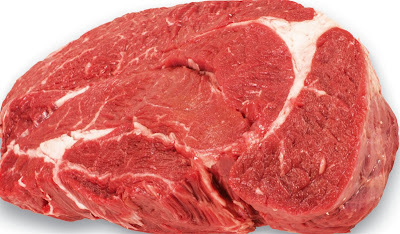 What to Look for When Buying Stew Meat: The chuck steak is lighter in color than other steak cuts. The first-cut should be pale red with nice marbling throughout. It will include a flat hunk of the blade bone, and a piece of fat will have been cut out of the middle from one side. What to Look for When Buying Semi-boneless Chuck Steak or Roast: Chuck meat is a little darker than other cuts, but still a fairly light red. Dark red to purple meat is called dark cutter in the industry; the meat will have a gamier taste and be less tender. A semi boneless roast should be at least 2 inches [4 cm] thick. 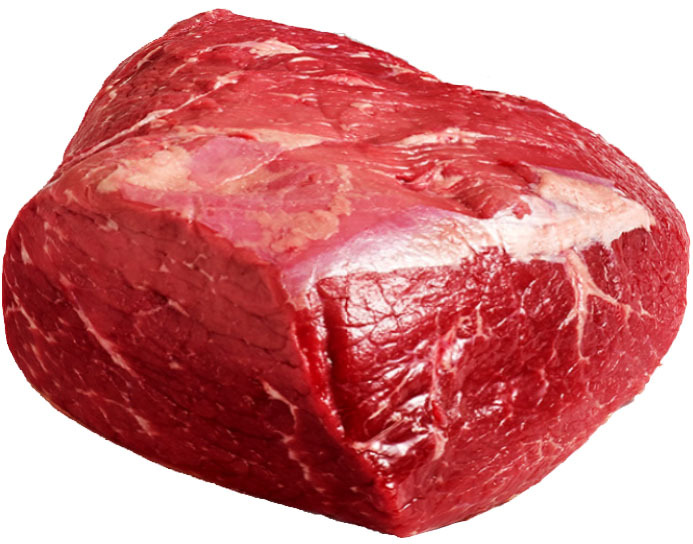 What to Look for When Buying Chuck Roast and Chuck Eye Roast: I recommend looking chuck roast in the eye, meaning that you should find a chuck eye roast. 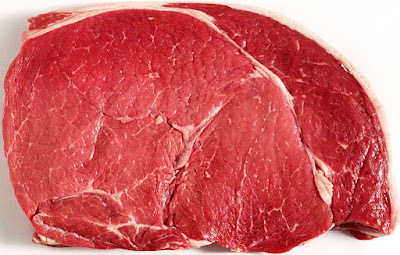 The eye is composed of the center three muscles, which resemble a rib-eye steak. The presence of the eye means there is even more marbling. The bigger the eye, and the more marbling, the better the flavor. What to Look for When Buying Chuck Tender: This cut is larger on one end, tapering down as it goes, like a filet mignon. It has a thin line of sinew running through the middle, which will be visible only on the face of the larger end. The cut is modest in weight—from 2 to 3 lbs. [910 g to 1.4 kg]. What to Look for When Buying Shoulder Roast: The shoulder, like other chuck meat, should be light red. Look for a piece with at least moderate marbling. What to Look for When Buying Chuck Short Ribs: Chuck short rib bones are usually halved to make 3 to 4 inches [7.5- to 10-cm] pieces. There is more meat on one end of the rib than the other, about 1 inch [2.5 cm] on one side and 2.5 inches [6 cm] on the other. The thickest short ribs are sometimes sold on their own and are called an English cut. What to Look for When Buying Flat Iron Steak: Depending on where you buy your flat iron steak, it may have a streak of gristle running right through the center. You can have a butcher cut the gristle out, or you can make two smaller steaks out of the cut to eliminate the gristle. If there are no flat irons in the case with the gristle already removed, another option is to braise the meat. Braising softens the gristle, making it easy to remove after cooking. What to Look for When Buying Petite Tender: You’re most likely to find the shoulder tender at a butcher shop because of the skill needed to remove the cut. That also accounts for its premium price. If you find it at a grocery store, it will probably have been cut into medallions, which are just as good for cooking purposes. The shoulder tender should be lighter in color than other shoulder cuts, usually a pale pink. The brisket and plate is the underside of the belly, which runs from the front of the chest to the loin. You’ll find some economical cuts in this area, namely brisket and skirt steak. Put in the extra effort and time required to cook them right, and they will both provide deep, satisfying flavor. What to Look for When Buying Brisket: Brisket should not be excessively trimmed; it should have a nice cap of fat. Keep in mind that brisket will shrink quite a bit when cooked, so allow 8 oz [230 g] per person when determining the weight you need to buy. Because the cut’s popularity peaks around the winter holidays, it is a great value during the rest of the year. Don’t hesitate to buy ahead and freeze. What to Look for When Buying Skirt Steak: Look for outside skirt steak without a lot of extra exterior fat (which you’ll pay for and then have to trim), and with the membrane already removed. Don’t’ try to buy “inside” skirt steak; you will be able to tell the difference by the width. “Outside” skirt steak is only 2 to 3 in [5 to 7.5 cm] wide. The round is the back leg and is the leanest part of the animal. This primal contains the most popular cuts for roasts and London broils, not to mention the best cuts and bones for making stocks or soups. The primal consists of the top round, top sirloin, tri-tip roast and steak (also known as Santa Maria roast), eye round (also known as eye of round roast), bottom round (also known as rump roast and bottom round roast), and hind shank and marrow bones. What to Look for When Buying Top Round: Top round is one of the most common items in supermarket meat cases. 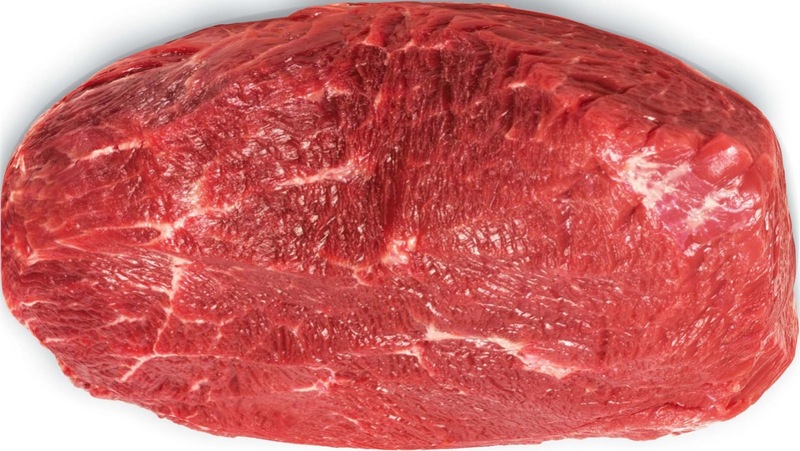 It’s one of the leanest beef cuts, so expect to find very minimal marbling and bright pink color. Buy it whenever it’s on sale and freeze it. 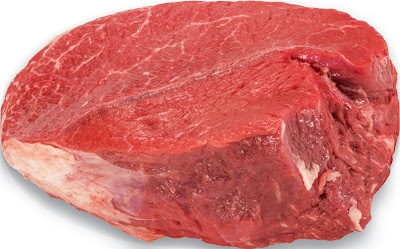 What to Look for When Buying Top Sirloin: Look for top sirloin that is 90 percent lean. What to Look for When Buying Santa Maria Roast: The beef triangle, also known as tri-tip, is a triangular-shaped cut from the bottom sirloin, typically weighing 3 to 4 pounds. It is a popular cut in central and southern California, where it’s marinated and grilled whole for Santa Maria barbecue. You rarely see it in New York. If you live on the West Coast, your butcher may know this cut as Santa Maria roast. Whatever the roast and steaks are called, you’re more likely to them find at a butcher shop or high-end grocery store than in the meat case of a large chain supermarket. What to Look for When Buying Eye of Round Roast: Shopping for the perfect eye round is a straightforward affair. Look for fat covering one-quarter of the cut or more, if possible. With this particular cut, leaner is not better. What to Look for When Buying Bottom Round Roast: The fat covering on this cut is your indicator of how fresh and well prepared the meat is. Look for fat that is white and solid, and avoid any cut with yellow or soft fat. What to Look for When Buying Hind Shank and Marrow Bones: Look for the hind shank with the bone in. The bone will assure you that you’re actually getting a hind shank and not a less-desirable foreshank, and it will add flavor to whatever you’re cooking. Do you know? What is Cooking Loss in Meat?